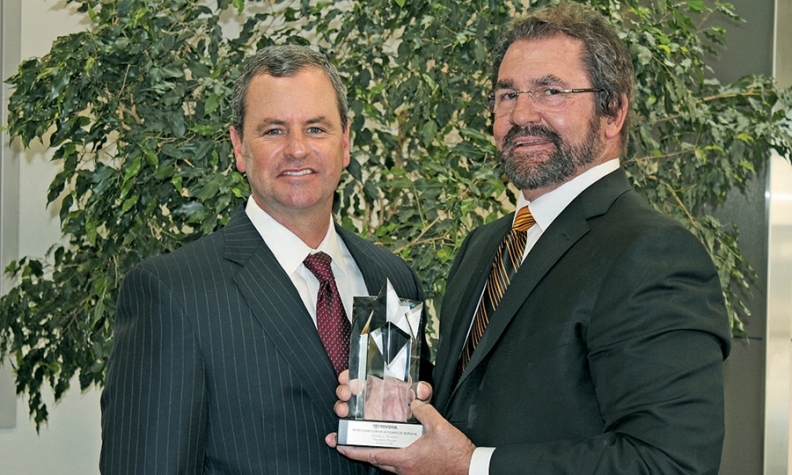 PICTURED ABOVE: Dennis Thurston, right, dealer principal at Thurston Toyota in Ukiah, Calif., receives a 25-year award from Pete Carey, general manager of Toyota Motor Sales U.S.A.’s San Francisco region. 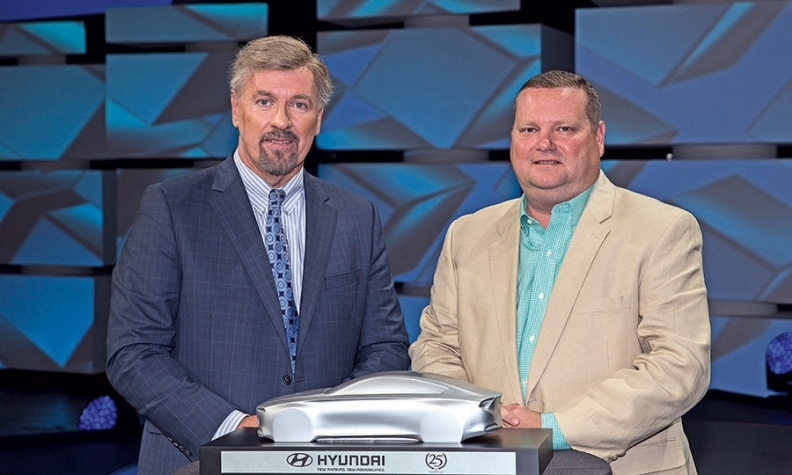 Tom Fascetti, right, general manager of Dean Team Hyundai in Ballwin, Mo., receives a 25-year award from Dave Zuchowski, CEO of Hyundai Motor America. 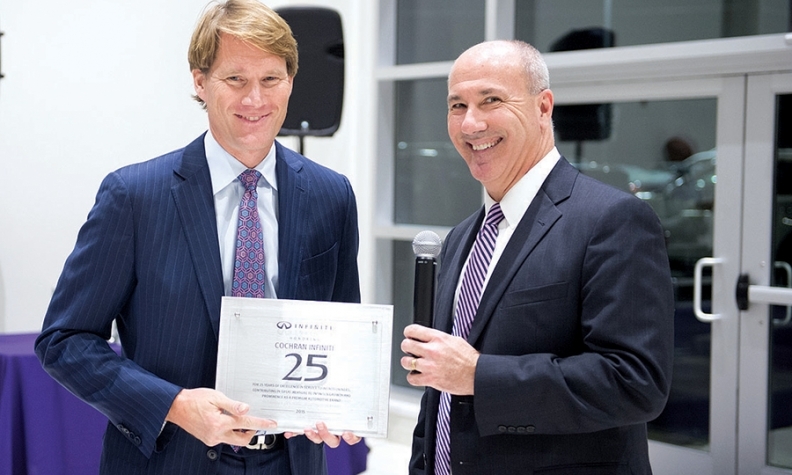 Rob Cochran, left, president of Cochran Infiniti in Wexford, Pa., receives a 25-year award from Jeffrey Harris, vice president of Infiniti USA’s East region.